Fab Himalaya is a women-led business based in the Western Himalayas in India. The focus of this company is to help the women by giving them a livelihood and skills for life. Hand weaving has been a long tradition in the north Indian area. Fab Himalaya were able to revive this tradition and help build the community. 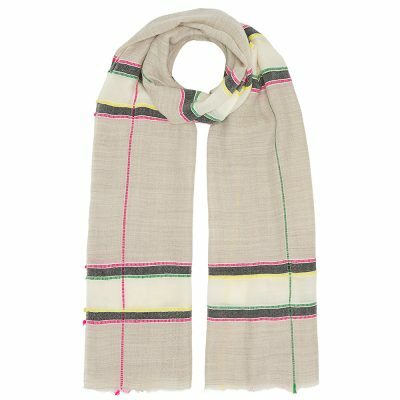 All scarves made by Fab Himalaya use the traditional hand-weaving skills that have been part of the region for centuries. All of the scarves are made with high quality and organic materials. 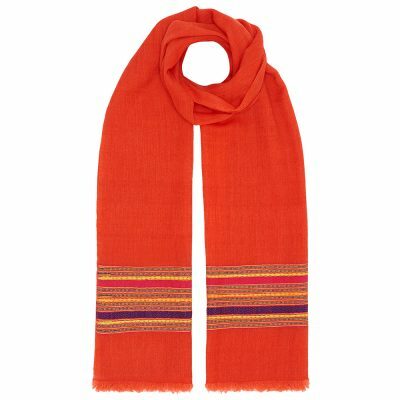 The scarves are environmentally friendly using only natural fibres and vegetable colour dyes. These bright prints and geometric patterns have become a flagship of Fab Himalaya.